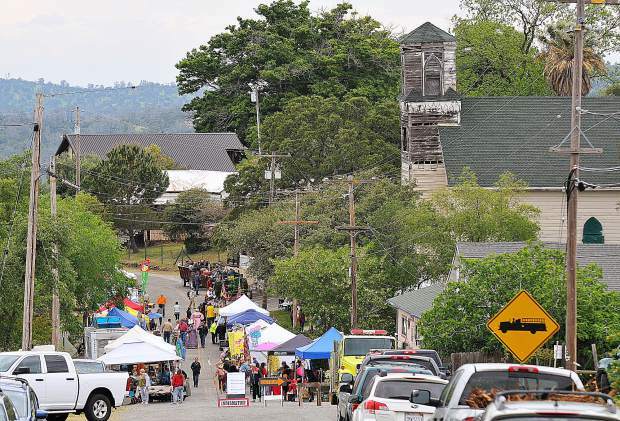 The Yuba County gold rush communities of Smartsville and Timbuctoo held their 11th annual Pioneer Day Saturday in front of the historic Church of the Immaculate Conception. Proceeds from the event go towards the restoration work of the church, which include saving the bell tower next. When complete, the church will be used as a community center. 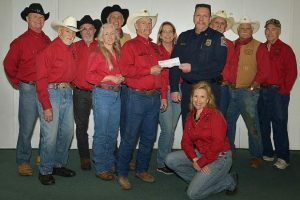 This year, the event raised more than $8,000. 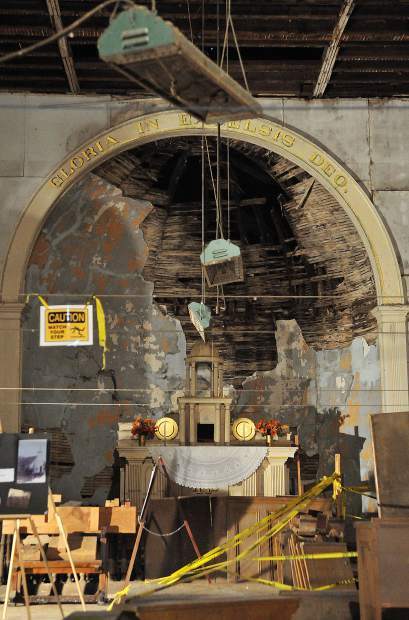 The interior of the Immaculate Conception Catholic Church in Smartsville is currently in an arrested state of decay following years of being forgotten. Twenty years ago, the Smartsville Church Restoration Fund Inc. was formed though, to help bring the building back as a community center. Since then, work has been done to fix the foundation, install a new roof, and develop construction plans. 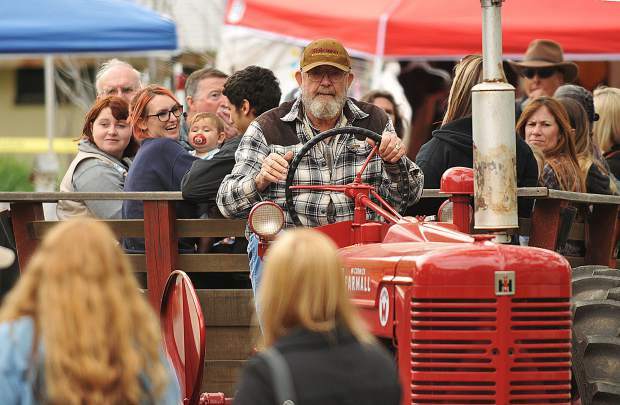 Pioneer Day attendees return to the festival via hay ride after getting a tour of the area's historic mines. Money raised from the tours go towards the restoration of the historic church. 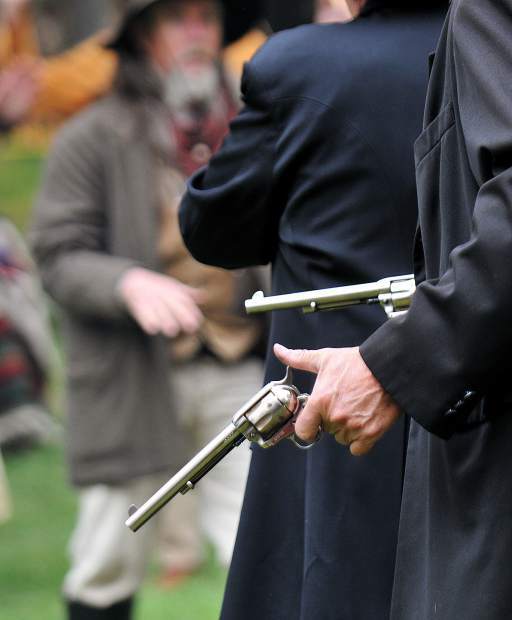 Character actors from the Old West Legends, take to the Timbuctoo Theater during Saturday's Pioneer Day in Smartsville, with a rip roaring gun slinging show. 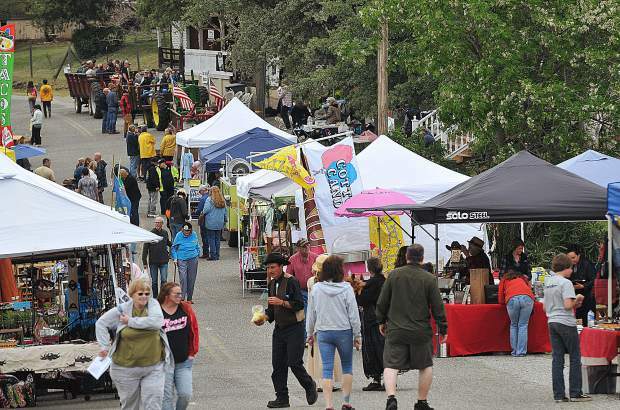 Smartville Road through Smartsville fills up with street vendors on the last Saturday of April each year for Pioneer Day. 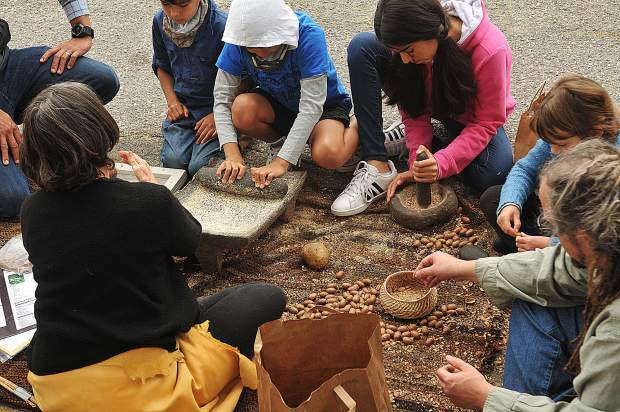 Kids got the opportunity to learn what it was like for local Native American tribes that utilized ground up acorns for food during Pioneer Day in Smartsville. 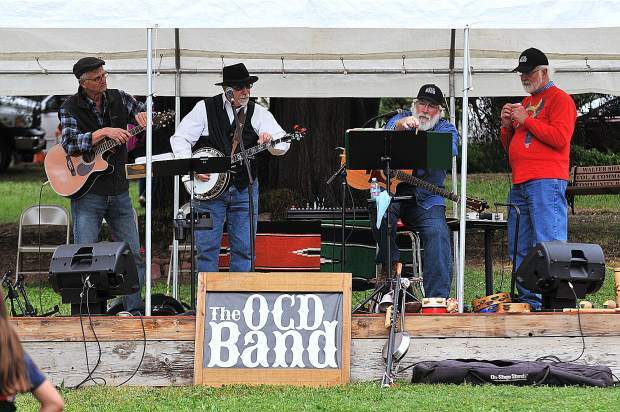 The OCD Band readies to plan another tune on the lawn outside of Smartsville's Immaculate Conception Catholic Church during Pioneer Day. In 1871, the Immaculate Conception Catholic Church in Smartsville was the hub of the mining community with more than 800 parishioners. 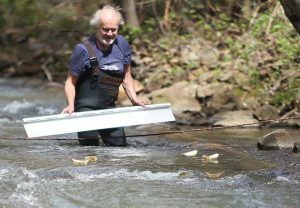 Almost 150 years later, members of the Smartsville community are working to preserve the historic church and bring it back as the hub of the community once again for use as a community center. Enter the Smartsville Church Restoration Fund Inc. (SCRFI), a nonprofit group formed in 1998 to raise money for the restoration. 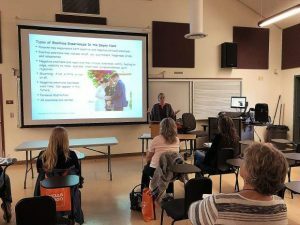 “Before we had Pioneer Day, we had little festivals, an open house for the church, nothing in the scale of the actual Pioneer Day,” event organizer Kit Burton said. So in 2007, the group decided to host a one day fundraising festival with mine tours, music, food, arts and crafts, and of course access to the interior of the Immaculate Conception church. 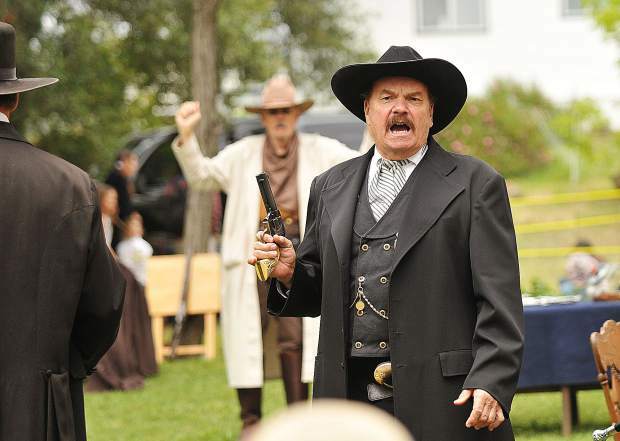 Character actors from the Old West Legends bring a sense of the wild west to the streets of Smartsville with their authentic attire, and performances in the Timbuctoo Theater. 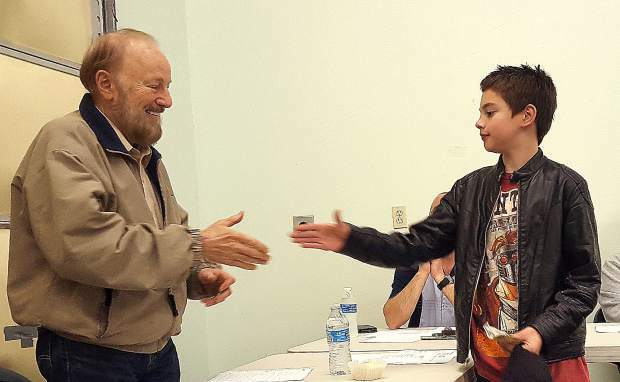 This year, after a $5,000 donation from Daniel Jacuzzi of Yuba City, the SCRFI raised just over $8,000. That money has been earmarked for restoration of the church’s bell tower, a cost that could range between $100,000 and $200,000. While the base of the bell tower is square, the cupola of the bell tower is octagon in shape, creating more challenges. Estimates to rebuild the tower sit at around $100,000 while purchasing a prefabricated cupola could cost $200,000. Though restoration costs remain lofty, the group has already completed much needed work to the foundation of the building as well as replacing the roof. To get in contact with Kit Burton about restoration work or how to donate to SCRFI, call 530-701-2639. To contact Multimedia Reporter Elias Funez, email efunez@theunion.com, or call 530-477-4230.